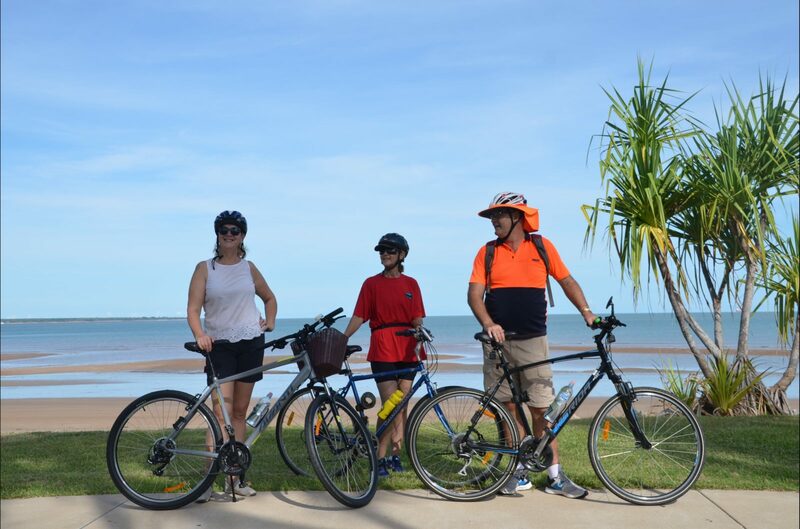 Darwin Bike Tours offers choice of seven fully guided and equiped bicycle tours around Darwin. Each tour is 3.5 hours long. A moderate level of fitness and familiarity with cycling is required. Each tour includes a break at a cafe where rider can purchase refreshments if they wish. 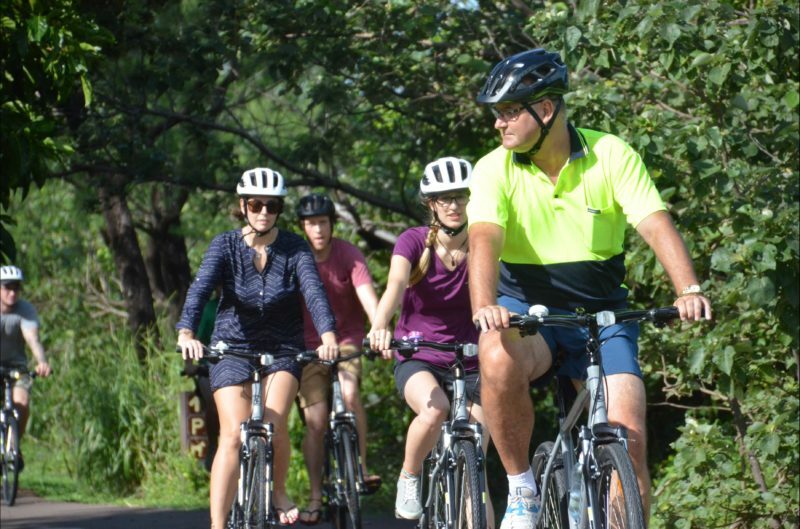 Darwin Bike Tours has a fleet of Avanti bicycles, 21 speed hybrid (cross between a road bike and a mountain bike). There are three sizes, small, medium and large bicycles and we have both mens and ladies bikes. 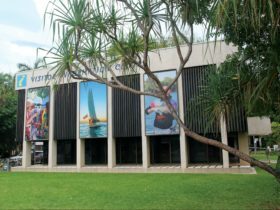 Meet your guide at 8.00am on the Esplanade opposite the Mantra Hotel (96 Esplanade or corner of Peel Street and Esplanade), Darwin. Explore the City, Waterfront, Esplanade, Botanical Gardens, Parap, Fannie Bay, and Mindil Beach. 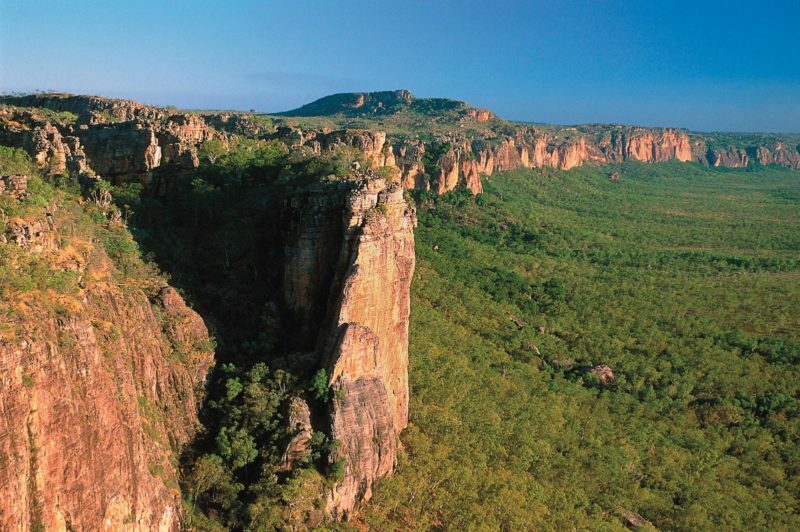 The main feature of this tour is an overview of the sights, history and culture of Darwin. Tour finishes at 11.30pm returning the Meeting Point. Bookings are essential. Note: It may be possible to start your tour from your hotel if you are the only booking – with prior arrangement – please call to discuss. Available: Monday, Tuesday, Wednesday and Friday evenings*. This tour includes a stop for dinner at either the Foreshore Cafe or various food stalls along the foreshore such as Ken’s Crepes, Jetty & The Fish, Cucina sotto le stelle, or maybe; if you are up for a good ride on a Friday evening we can visit De la Plage and watch the sunset from Casuarina Beach. This tour is designed to explore the foreshore of the northern beaches where locals come out to enjoy the tropical evenings. 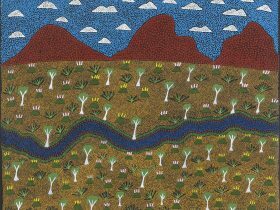 Our ride will take us on a loop through Rapid Creek, Jingili Water Park and Charles Darwin University and then along the foreshore. You will return to the start point by 8.30pm. Bookings are essential. Thursday and Sunday evenings* from the last Thursday in April to the last Thursday in October. This tour includes time for you to have dinner and watch the sunset at the Mindil Beach Sunset Markets. Meet your guide at 5.00pm at Parliament House 15 Mitchell Street, Darwin. This tour is designed for you to enjoy a tropical evening in Darwin with a visit to the iconic Mindil Beach Sunset Markets. The route to and from the Markets will take you through some quiet streets and back lanes where you will get some interesting insights into Darwin by night. The tour finishes by 8.30pm returning to Parliament House. Bookings are essential. It may be possible to start your tour from your hotel if you are the only booking- with prior arrangement – please call to discuss. 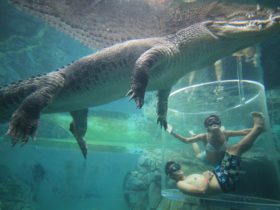 By booking a private tour you will guarantee that you will be the only person or people on the tour and the guide is exclusively at your service. It may be worth considering that our scheduled tours (Short Rides) often only have 1 or 2 people and only occasionally do we have multiple bookings. There is a fair chance you won’t need to book a private tour to be the only people on a scheduled tour. Save your money for a Long Ride! We charge significantly more for Private Tours because we (me) are a small business (one man show) and we have block out that time when we could be taking other clients for a scheduled tour. If you want to know more about Private Tours please contact me. Private Tour Long Rides are designed for a more serious pace with the emphasis on distance e.g. 30 to 50km over 4 to 5 hours. A good level of cycling fitness and ability is strongly recommended. There will be plenty of stops to rest, sightsee, take photos etc including cafe stops. Darwin City, East Point, Nightcliff Foreshore, Casuarina Coastal Reserve and return. Darwin City to Palmerston and return. Long Rides are designed for people who cycle regularly, are fit and enjoy a challenge. If this is not you then please consider either a scheduled tour or a Private Tour – Short Ride. We charge more for Private Tours because we (me) are a small business (one man show) and we have to block out that time when we could be taking other clients for tours. Please call 0487 453 488 to discuss your wish for a Private Tour – Long Ride. Emma from Taste of the Top End will accompany the tour and will do an amazing ‘show and tell’ of tropical produce. Pedal To Produce is an initiative by City Of Darwin. 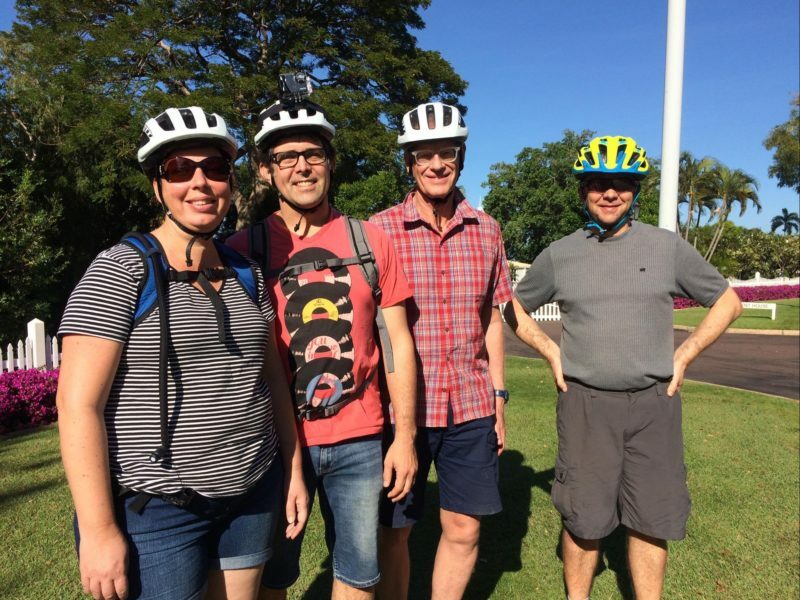 Join us for a bicycle tour from Darwin City to Parap Village Markets and return. Book a tour to confirm your attendance, make sure you indicate if you are bringing your own bike or want to use a bike from Darwin Bike Tours. Darwin Bike tours has four sizes, mens and unisex to choose from, numbers are limited – get in early. Meet the tour at 8.00 am at Parliament House, 15 Mitchell Street, Darwin City NT 0800. From there we will take a sight seeing route out to Parap Village Markets. When we get to the Markets there will be a presentation by one of the stall holders on some of the tropical produce. You will about an hour to wander and enjoy the markets. After the markets we will take another sight seeing route back to Darwin City and return to the start point around 11.30.